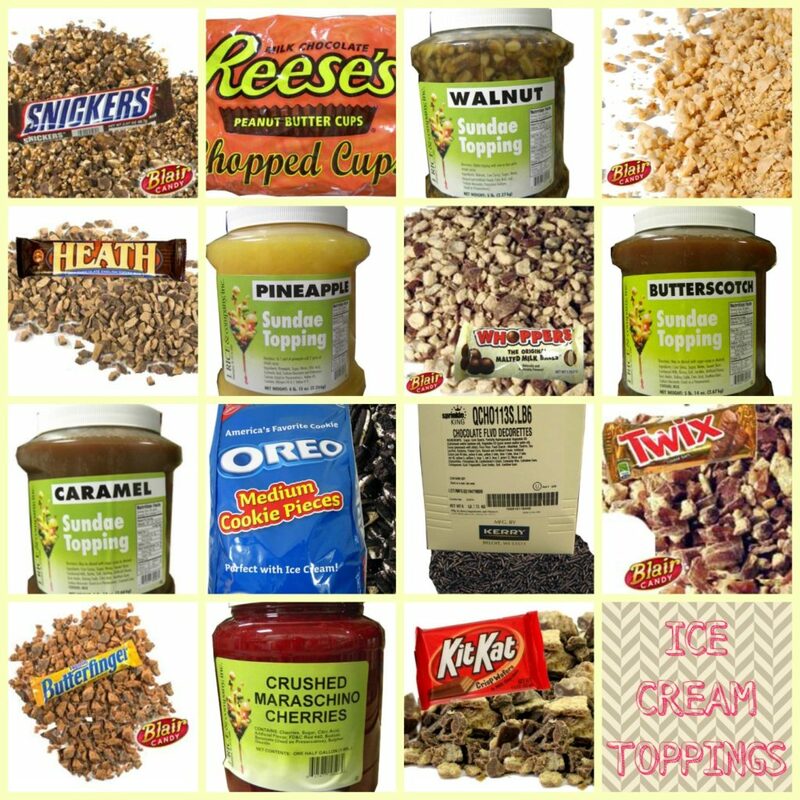 Add Even More Deliciousness to Your Dessert with Ice Cream Toppings! But don’t go thinking for one minute that I’m eating bowl after bowl of plain ice cream. Even if I pick a flavor with candy bits, cookie dough, nuts or marshmallow already in the mix, I am certainly adding more. I learned years ago that the ‘less is more’ philosophy doesn’t even come close to applying to candy, so I do what I know in my heart is the right thing to do. I pile on ice cream toppings until the ice cream is no longer visible. So far, this method is working out pretty great! Fisher’s Popcorn: An Ocean City, MD Favorite You Can Now Buy at Blair! If you told me years ago that one day we would be selling Fisher’s caramel popcorn in our online store, I would have thought you were crazy. Of course, I’ve been eating their popcorn much longer than the internet has existed, so if you even told me there would be stores living inside a computer I would have thought you were crazy! But time always marches on, changing at every turn, and for all the changes we don’t like, we have to admit that some of them are pretty great. The change we’re most excited about today is that we no longer have to wait for a trip to Ocean City, MD to enjoy that impossibly divine taste of Fisher’s caramel corn. We’ll still stop by their stand first when we do go, of course! But having it right at our fingertips is a very exciting thing. Ocean City, MD is for my family what it is for many other families in Pennsylvania – a vacation spot that is far enough away from home to really feel like you got away, but not so far that you can’t drive, even with little ones in the car. Of all the boardwalks I’ve been to over the years, theirs is still my favorite, and Fisher’s popcorn is one of many reasons it likely always will be. When you’ve been visiting a place for many years, especially a place where you spend much of your time there walking, you start to think of locations along the way as mile markers. But, unlike a race, you’re taking your time and taking all these mile markers all in, so by the time you reach the end of the boardwalk your belly is full and so is your shopping bag! As I’ve noticed many others do as well, when I stop at the impossible-to-resist Fisher’s popcorn stand, I always buy at least 2 tubs of caramel corn. One is to be enjoyed as we stroll the boardwalk, and the other for later that night back at the hotel. If it’s our last night in Ocean City, several more tubs will be purchased! For me, and countless others, it is a snack tied to some of the best memories. Most of us are at our best when on vacation, ready to really enjoy time with our friends and family without any of the stress that everyday life brings. I’m hoping that being able to buy Fisher’s popcorn online from our site allows people to not only savor that flavor whenever they wish, but maybe also to gather the family together after a long day and see if sharing in this vacation classic offers a bit of that same relaxing vibe at home. Even if you can’t make it to the boardwalk this summer, bring a tub of Fisher’s caramel corn out on the porch, kick back in a lounge chair and close your eyes. Imagine that if you opened your eyes the ocean would be right there, and let that thought take away your worries!